Connectify Hotspot makes all your devices happy. This easy-to-use virtual router application lets you share Internet from your laptop with your smartphone, tablet, media player, e-reader, other laptops, and even your nearby friends. Connectify Hotspot includes an all new universal ad blocker to prevent annoying and unwanted ads from displaying on devices that join your hotspot! It can even block in-app ads on iPhones, iPads and Android mobile devices! Connectify Hotspot makes the Internet traffic look like it’s all coming from your computer—even if it’s coming from connected devices, like other computers, gaming consoles, smartphones, or smart TVs. This way, you will be able to connect all your devices to the Internet without having to worry about any Internet access restrictions. Connectify Hotspot is available in 10 languages! In addition, your hotspot name (SSID) can now include Unicode characters as well as Emojis! Extend the range of your existing Wi-Fi network. Connectify Hotspot MAX is the only true Wi-Fi Repeater software for Windows. All your applications work just like they would on the original network, including gaming consoles and streaming media. Stuck at a hotel that charges for Internet per-device? Getting into in-flight WiFi? 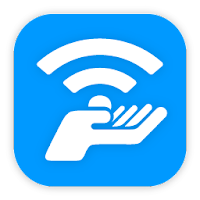 With Connectify Hotspot, join the Wi-Fi, start a hotspot, and get all of your devices online for the price of one. Already have a 3G or 4G USB adapter or a tethering plan for your mobile phone? Hotspot PRO and MAX editions allow you to share any Internet connection to keep all your devices online wherever you go, either via Wi-Fi or wired Ethernet. Your game consoles and all of your other devices appear to be on the source network. With Hotspot MAX in Bridging Mode, you can get your Playstation, Xbox, Nintendo and other gaming consoles working on your home network instantly.